So many small windows, each is decorated for the Christmas season, at the Ronneburg Castle in Germany. A popular tourist attraction, visitors are permitted to many of the areas of Ronneburg Castle in the region of Hessen, Germany including those areas behind these small windows. Decorated windows of a building at Burg Ronneburg (Burgmuseum), Ronneburg Castle, Ronneburg, Hessen, Germany, Europe. 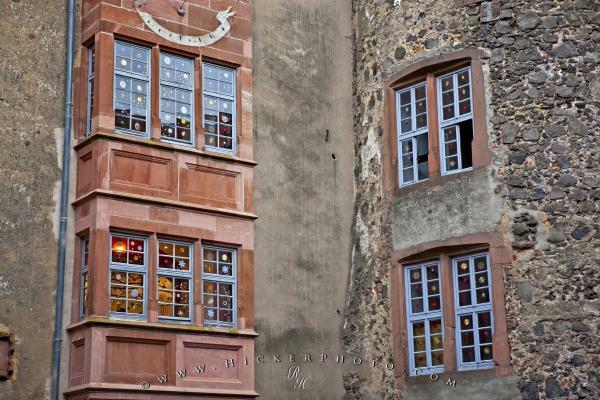 Photo of windows at the Ronneburg Castle in Hessen, Germany. Pictures from photo gallery "Castle Pictures"
This picture is part of the photo album "Castle Pictures" - there are more beautiful images waiting for you.